Our last special offer was great, but it's gone now. Don't miss the next one. Join our VIP club. When you wear Greek gear made by S4G, people notice. Checkout our immense Photo Gallery and Design Library for creative inspiration. If you've been looking for a Greek store that can truly customize your Greek apparel - everything from fraternity shirts and jackets, to sorority hoodies and clothes - then you've come to the right place. 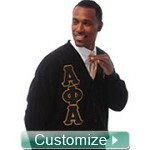 Any Greek store can stitch Greek letters on clothing, but only stuff4GREEKS can turn you into a walking piece of art. 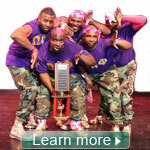 We are a team of real artists, and most of us are members of Greek-letter organizations. We can help you create custom artwork for your clothing, then once you approve the design, we embroider it on your Greek wear ourselves. Our headquarters is in Atlanta, Georgia, but we ship all over the world. 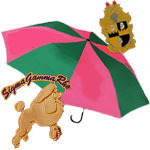 No matter what type of Greek gear you need, whether it be t-shirts, custom line jackets, paddles, or anything in between, we take your fraternity and sorority apparel to the next level! We specialize in premium Greek merchandise, meaning that we don't cut corners and sell cheap products. We only offer the finest-quality Greek paraphernalia. 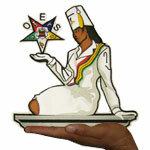 We also make custom Masonic and Eastern Star (OES) apparel. We are known for our outstanding quality, service, and creativity. If you want to design your own customized Greek wear on sweatshirts, sweaters, or even on screen printed t-shirts, then we can help you create your masterpiece. Our motto is "you dream it, we design it," and for over a decade, we have been regarded as the paraphernalia of choice. But don't take our word for it... see what our customers have to say by reading our customer testimonials and looking through our photo gallery. 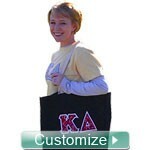 When you're ready to make a purchase, you can shop by organization or view all custom Greek products.